I welcome Angus Council’s common sense approach to the Arbroath Harbour Visitor Centre’s tenants. The Angus Alliance recently revised its arrangements with tenants at the centre, reducing rents and listening to their concerns. 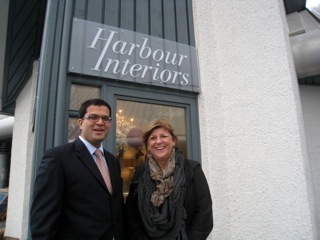 When visiting the centre, I had the privilege of meeting Patricia Renson, owner of Harbour Interiors and discussing her experience of running a business at the Visitor Centre. As a small business owner myself, it is good to hear that the Angus Alliance is responding to the needs of local shop owners. Reducing rents is an innovative and enlightened response and will really help them get through the recession. The Arbroath Visitor Centre needs thriving businesses to support its activity promoting the town and this is a big step forward. The Labour Government has been hostile to small firms, stifling them with red tape and tax increases aimed specifically at small businesses. It is great to see Angus Council taking a more positive and engaging approach.